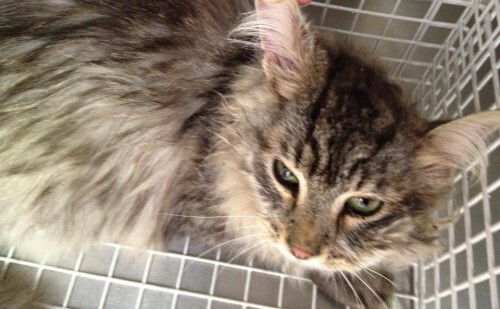 Long-haired silvr tabby, neutered male cat found in Cois Na hAbhann in Cloyne on the 17th of August (was seen hanging around for the previous two days. He is very friendly, not microchipped. Contact 021 4651464 or 086 1583501.